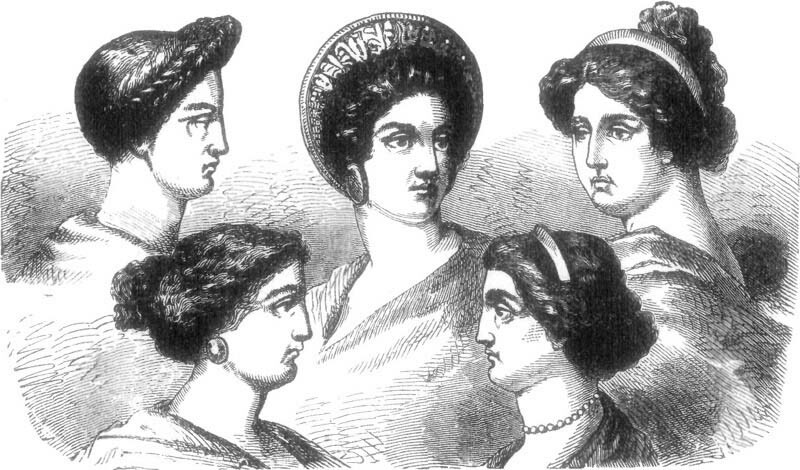 The Romans initially imitated the Greeks and then came up with their own innovative hairstyles that align with their own imperial ethics. Men usually carry short hairs and this came to be known as the “Titus”. Catered to by the barbers who were employed at the marketplaces and open baths, or even slaves, these men, and women made curly hairdos and dyed their hair red. They applied expensive oils and pomatums and often put on costly wigs. Those who were filthy rich applied gold dust on their hair. There was a mixture and blend of Byzantine hairdos and the Greco-Roman culture in the East and men sported shorter hair, mustaches, and beards. Some people fixed pearls and other valuable metals for added femininity. Sometimes this style was used on bare heads, ribbons and occasionally turbans. Turbans became mainstream in Moorish culture even though the Islamic injunction against “graven images” like those found in the Jewish faith indicated that the documentation of Islamic hairstyles has been sparsely distributed prior to the Christian Middle Ages.